Novus Papilio: For the first time in forever.... A BLOG POST! 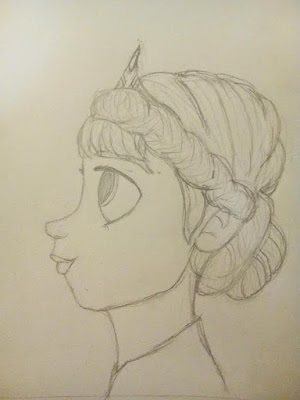 For the first time in forever.... A BLOG POST! So I've been working on this thing-a-ma-bob for a while now, couple of weeks.. Maybe a month? 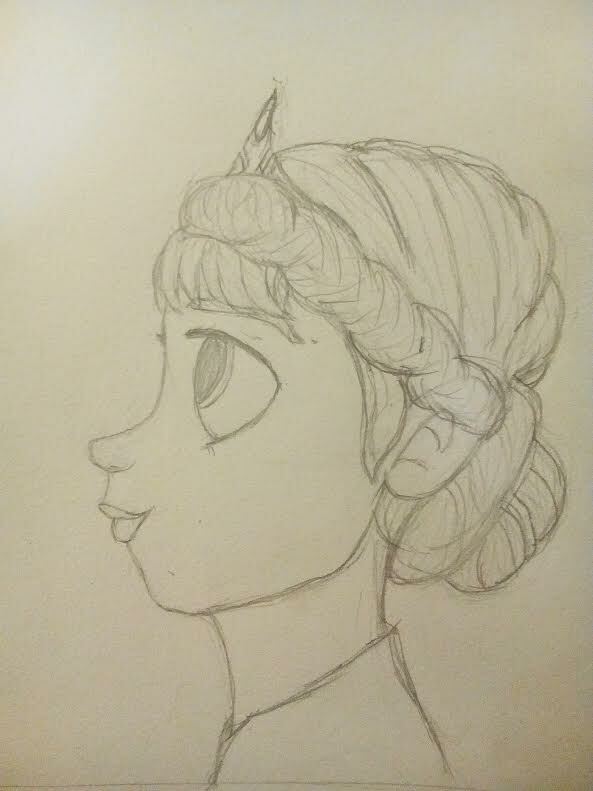 Gosh, I dunno any more. Traced... Wait-a-minute, is that even a word? So far, so good... Until I tried to add some colour to it, that is. 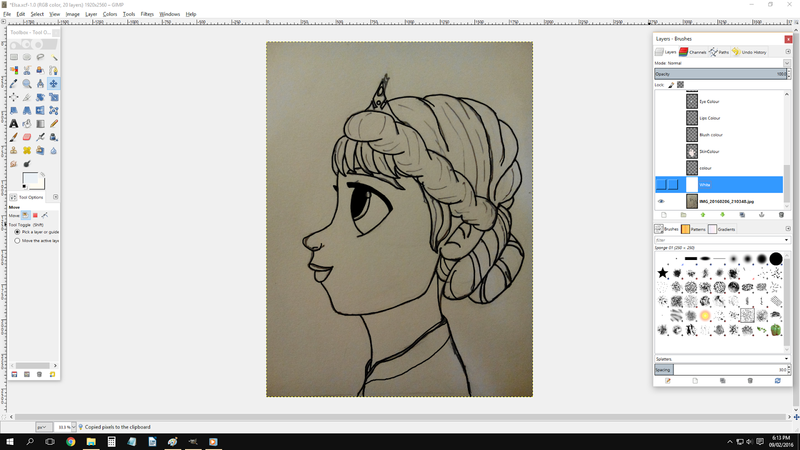 After a few many failed attempts of getting Elsa's complexion just right (I kept getting the colours too red/pink, too dark, too pale... etc) I pretty much gave up, knowing I hadn't even touched the shadowing part and that would be waaaaaaay too much stuff to do. 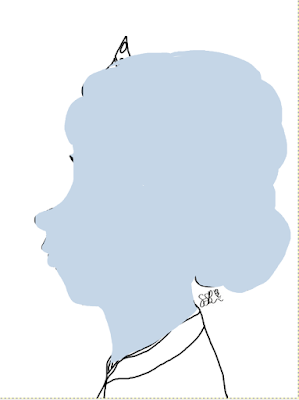 But then I had a lovely idea... Why not make it into a silhouette? 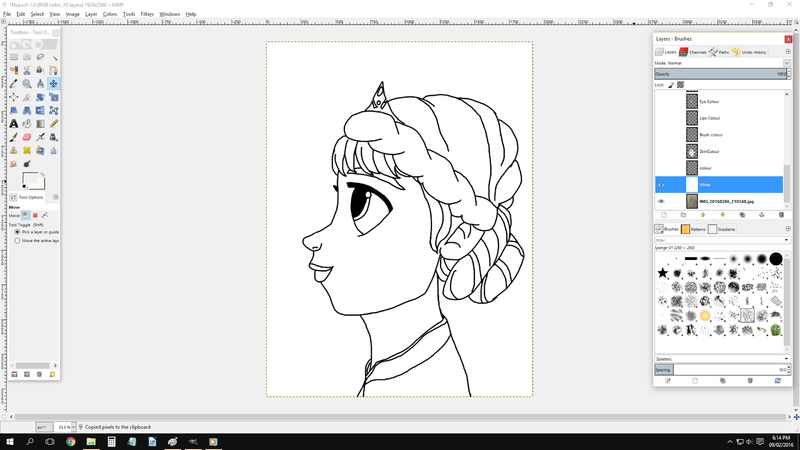 So much more easier to do -not to mention I might have a bit more fun since I haven't tried that for a long, long, time. 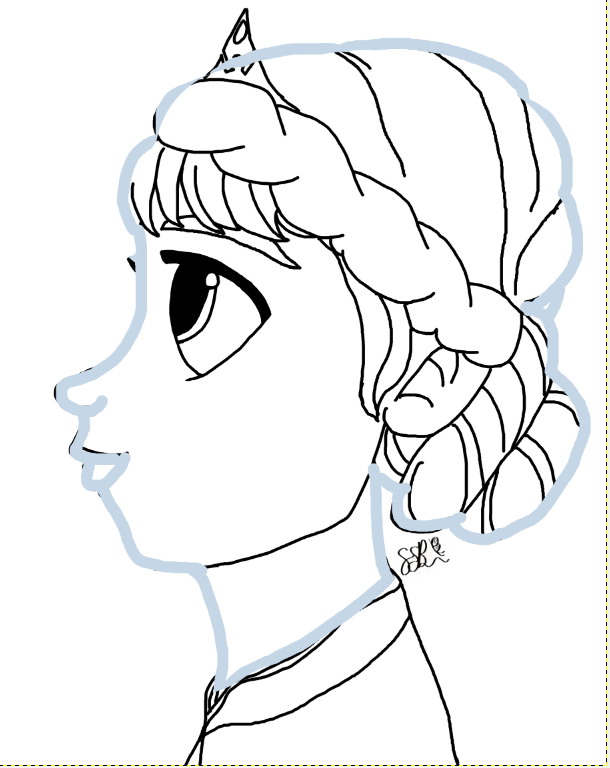 First, I made yet another tracing of Elsa's head and hair shape... Although a bit more carelessly, this time. 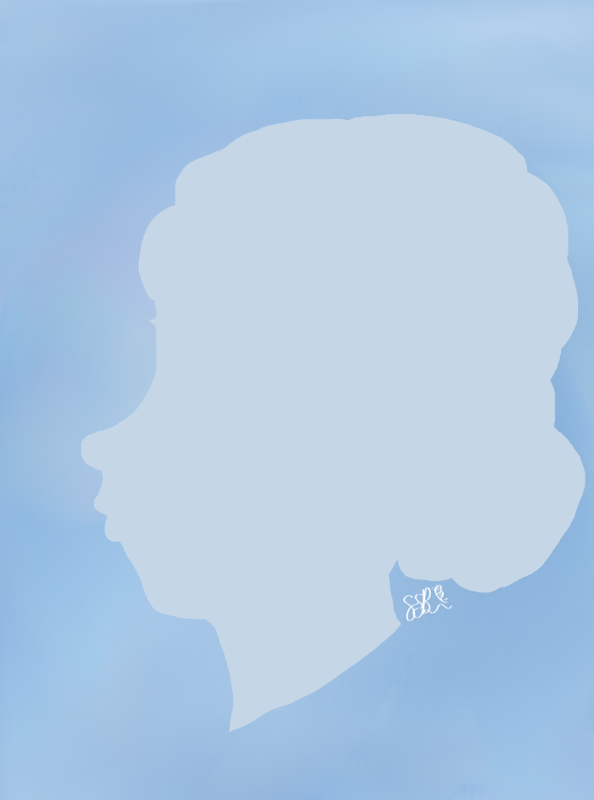 Next, I added a darker blue background... Smudging together different types of blue shades so it didn't have a solid colour look to it. Deciding that the solid coloured blob known as Elsa's silhouetted head was a bit boring by itself, I chosen a random texture brush that looked a bit like ice and went crazy. 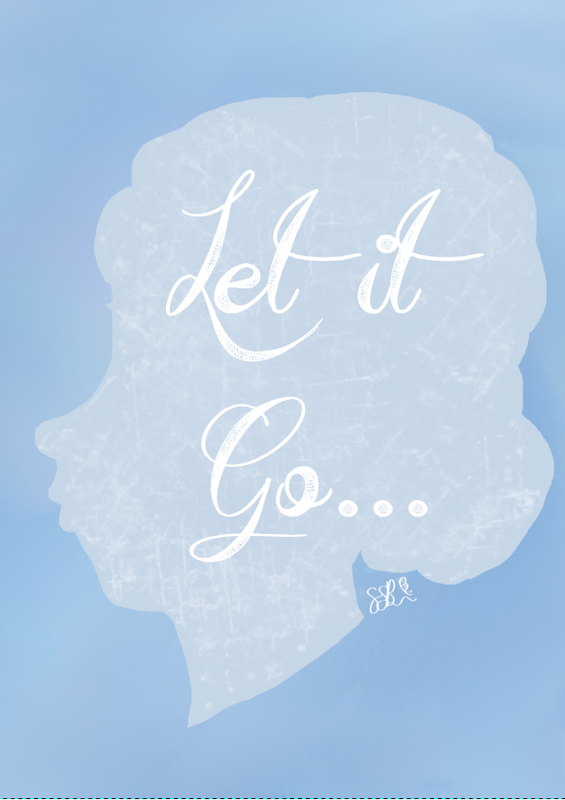 And then for the final touch, I found a fancy font off the internet and wrote the words "Let it Go" in her head for no reason other than it would look nice. WOW A POST really nice there, I do like the silhouette and the words make it look good, it looks kinda... um..I dunno the right word, professional... very nice anyway. Very good Sarah. :D Loving watching your artistic talent grow! Aww, thank you so much! 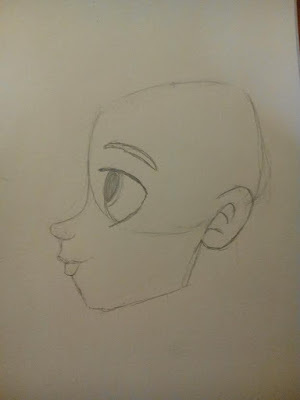 Yeah, to this day it's probably still mah favourite head-tutorial out there :D Thanks for commenting!